Infosys in 2015 won a Rs 1,380-crore deal for developing and running the GST backend network. New Delhi: An association of traders has blamed Infosys for the glitches in the GST Network and demanded a CBI probe into its alleged negligence, a charge that India's second-largest IT services firm vehemently denied. The Confederation of All India Traders (CAIT) in a statement said it was "disgusted with the poor and dismal performance of GST portal" and held Infosys majorly responsible for it. The traders' body demanded a "CBI enquiry against Infosys and other companies who were assigned the work of creating, updating and maintenance of GST portal". Refuting the allegation, Infosys said they were "completely false". "Infosys is very proud to be associated with the prestigious GST project which is the largest tax project of its kind in the world. The system has already demonstrated success across several parameters," it said in a statement. Infosys however said a transformative large project has to deal with changes in both policy and stakeholder usability and some of these modifications have resulted in rapid changes to the system like its integration with Aadhaar and heterogeneous IT ecosystems. "Given the complex nature of the project and rapid change management, there have been several stakeholder concerns that have also been raised. Some of our finest engineers are supporting the GSTN team as they work towards resolving these and serving all stakeholders," it added. CAIT said it needs to be investigated as to upon what conditions the work was awarded to Infosys and other companies and negligence in their part for non performance of the contract. 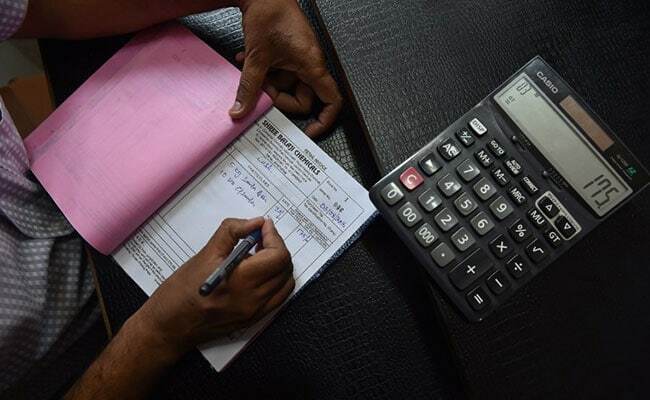 "Even after four months of GST implementation, the GST portal which was supposed to function properly from July 1 itself is still working like an experiment project causing much harassment and concern to traders," it said. CAIT said more than three years and Rs 1,400 crore has already been spent on the portal with "no results". "The failure of the portal could be gauged from the fact that date for filing of GST return for even July month is extended upto November 30," it said. On the other hand, Infosys said the network has seen 37 crore invoices being uploaded till date while the system is designed to handle 300 to 320 crore invoices every month. While 70 lakh tax payers have successfully migrated to the new system, 29 lakh new taxpayers have been registered. "Central and state level tax regimes have been integrated with all 29 States and 7 Union Territories successfully migrating onto this system," Infosys said adding the system has handled 1 lakh active users. The system saw peak loads during the last two days of filing, with 50 per cent of the filings done in that timeframe and 70 per cent of the collection achieved with just 25 per cent of server utilisation, demonstrating the system's ability to manage scale, it said. CAIT demanded a third party audit into technical and other issues related to the portal. It asked the government to release a White Paper on as on date status of GST portal. It claimed that the poor functioning of portal has brought bad name for a good taxation system like GST and utter frustration to the traders who are mostly unable to make GST compliance on account of mal-functioning of the Portal.